David Crosby On World Cafe : World Cafe One of the most revered voices of our time returns to the World Cafe studio to perform songs from his new solo album, Lighthouse. 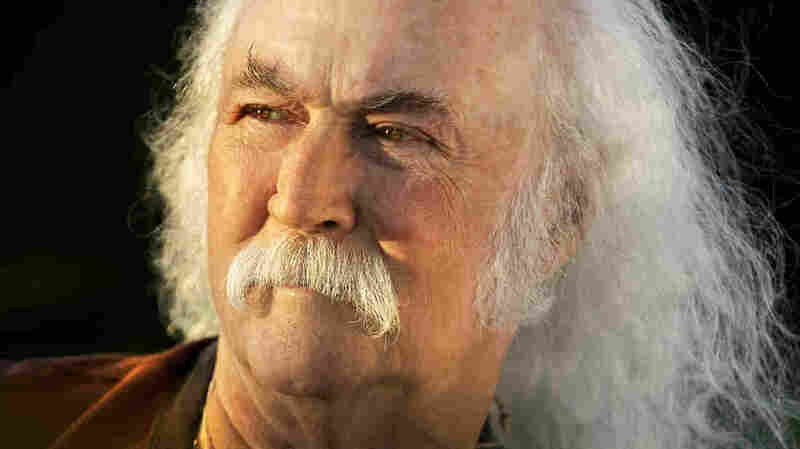 David Crosby returns to World Cafe at age 75. "By The Light Of Common Day"
David Crosby's been inducted into in the Rock and Roll Hall of Fame twice, with The Byrds and with Crosby, Stills and Nash. He has one of the most revered voices of our time — and at 75, even with his legendary lifestyle, it sounds as good as it ever has. In this session, Crosby returns to World Cafe to play new songs from his recently released fifth solo album, Lighthouse — plus some classics from his past, including a new reworking of Joni Mitchell's "Woodstock." His in-studio band features, among others, Michael League from Snarky Puppy, who produced the new album. I have no doubt that, by the end of the year, we'll count this among the very best sessions of 2017.